Heavy Duty Grinders HD-2 and HD-2H – Foremost Machine Builders, Inc. 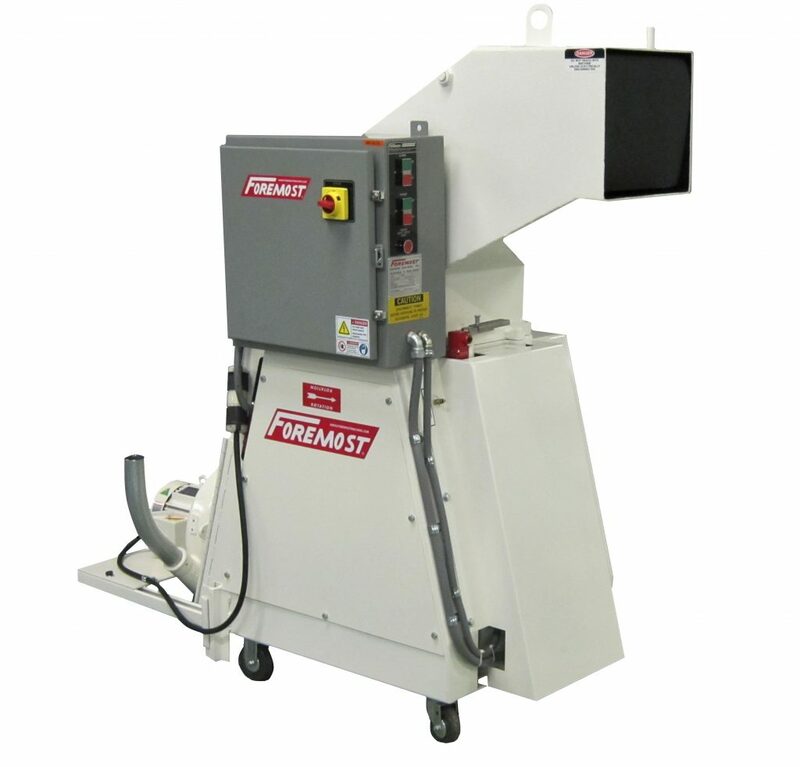 The Foremost Models HD-2 and HD-2H heavy duty scrap grinders are designed specifically for beside-the-press operation. These machines are constructed of heavy gauge steel throughout, with the cutting chamber a rigid one-piece weldment. The rotor is a solid steel weldment, and is offset in the cutting chamber to minimize flyback and noise, while ensuring positive cutting of large or bulky rejects from any thermoplastic materials. A wide range of throat sizes and power options insure a Heavy Duty Granulator sized properly for every molding application.